Building Strong Congregations by Bruce Wrenn, Ph.D. , Norman Shawchuck, Ph.D. , Philip Kotler, Ph.D.
By Bruce Wrenn, Ph.D., Norman Shawchuck, Ph.D., Philip Kotler, Ph.D.
How do you ensure that they will want to remain participants in the life and ministry of your congregation? 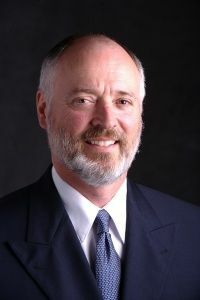 Bruce Wrenn, Ph.D., currently serves or has served on a number of professional journal boards including the Journal of Business Research and the Journal of Ministry Marketing and Management, among others. Often a professional resource for media, Wrenn has been interviewed and/or quoted by a number of regional and national media including WNDU-TV, Baltimore Sun, Talk of the Nation and Christian Management Review. Norman Shawchuck, Ph.D., (1935-2012) served as pastor, professor, business president, spiritual director and author of numerous books and professional articles. 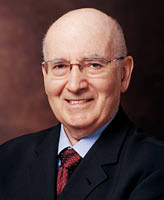 Dr. Philip Kotler is the S.C. Johnson & Son Distinguished Professor of International Marketing at the Northwestern University Kellogg Graduate School of Management in Chicago. He is hailed by Management Centre Europe as "the world's foremost expert on the strategic practice of marketing."